Websecurify is a powerful web application security testing environment designed from the ground up to provide the best combination of automatic and manual vulnerability testing technologies. 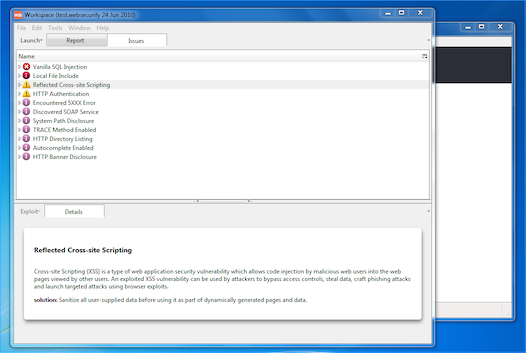 Websecurify is an integrated web security testing environment, which can be used to identify vulnerabilities by using advanced browser automation, discovery and fuzzing technologies. The platform is designed to perform automated as well as manual vulnerability tests and it is constantly improved and fine-tuned by a team of world class web application security penetration testers and the feedback from an active open source community. Websecurify uses several key technologies combined together to achieve the best possible result when performing automatic and manual tests. At the core of the platform sits the award winning Mozilla Web Browser. This allows Websecurify to gain a fine-grained control over the targeted web application and as such detect vulnerabilities that are difficult to find with other tools. Websecurify design principles emphasise on ease of use and extensibility. Virtually every single platform component can be extended with the help of add-ons and plugins. This means that task and business specific customizations can be introduced without the need to worry about cross-platform issues, deployment, internationalization and future support. 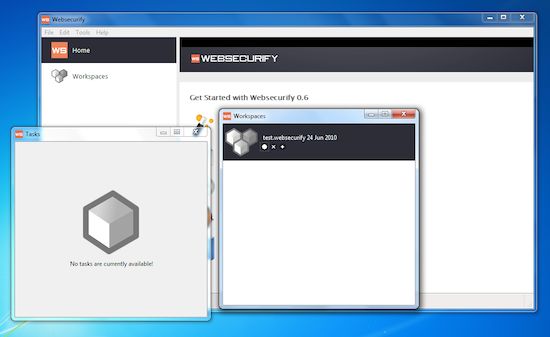 Websecurify is a carefully engineered piece of software, which packs years of hands-on penetration testing experience. It is actively used and improved on a daily basis by full-time penetration testers and web security researchers. Unlike other products, all Websecurify features are designed to be easy to use and to aid the penetration testing process from start to finish in any possible scenario during automated, semi-automated or fully manual penetration tests.